Don’t allow missing teeth to affect your happiness. Get in touch with us to set up a complimentary initial consultation. All of our dentures are built in-house and customized to fit the contours of your gums. Not only can we advise you on acquiring a brand new denture, but we also possess digital equipment that allows us to better evaluate your bite to ensure a more comfortable chewing experience. Our clinic’s suction dentures can assist with any looseness you may be experiencing with your current lower denture. 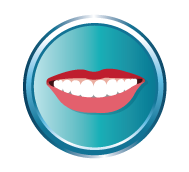 Are you a candidate for dentures? Do you have questions about what’s involved? At Grundy Denture Clinic, we provide no-charge consultations to put your mind at ease. No referral is necessary, and our office is wheelchair accessible. 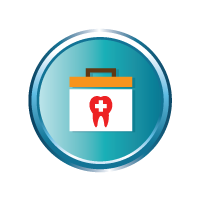 We are a member of the Denturist Association of Ontario (DAO). Call us today to book an appointment, or with any questions you may have. 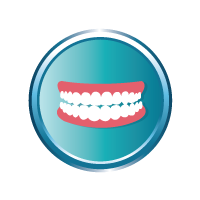 We perform same-day repairs on your dentures so you don’t have to wait! Complete and partial denture options to replace missing teeth. Grundy Denture Clinic is certified to offer suction denture technology.